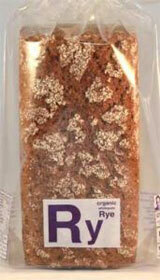 Artisan Bread Organic of Whitstable, England, produces gourmet and special diet bread produced to biodynamic standards (which include organic standards) without added yeast and with no short cuts! The company became a Seagreens® Brand Partner in 1999, determined to produce a superb whole food of the highest quality. In this video clip, Artisan's founder baker, Ingrid Eissfeldt, explains to a nutritionist some of the reasons why she uses Seagreens most of her bread. Today Artisan offers a range of breads and related foods for Blood Group, Dairy-free, Genotype, Gluten-free, Salt-free and low salt, Vegetarian, Wheat-free, and Yeast-free diets. Above all, this is wonderful whole bread, an original Slow Food! "amazing nutritional profile" and to replace or reduce salt widely used to preserve and help 'raise' the bread. The leaven (entirely unlike genetically modified single-strain industrial Baker's Yeast) is organic baking ferment, developed by the Institute for Nutrition Research in Darmstadt for people with an intolerance to sourdough, gluten or yeast. It is fully assimilated during the 12-15 hour fermentation process. Absolutely nothing speeds up Artisan's unique baking process and as everyone who knows, knows, that level of care comes through in the flavour! A new range of delicious products is available in 2011 - Pea and Alpine Herb bread, Glutini cookies, chocolate bread and many more! Would you like to try Artisan's products? You can buy them from their website above or at the best natural food stores all over the UK.